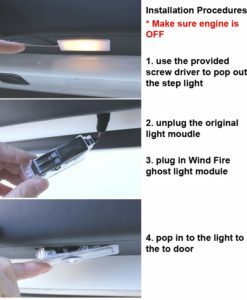 No Drilling, No Rewiring, No Disassembly Required,( No Damage to Vehicle ) remove Direct Replacements for your factory OEM Original Door Courtesy Light. 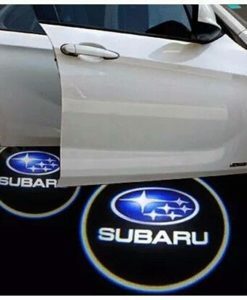 When installed into the car, the welcome light will be displayed on the ground after the door is opened, just like a welcome light. If you forget to close the door, the light will automatically turn off after 2 to 3 minutes with its bulit in timer. 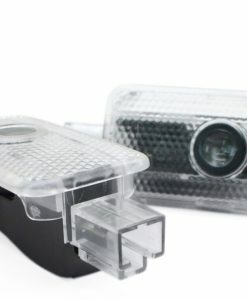 This Premium led door projector light is the only light on the market that can be installed into the original factory mounting hole. You do not need to drill a hole into your factory door panel, like most other door projector products. 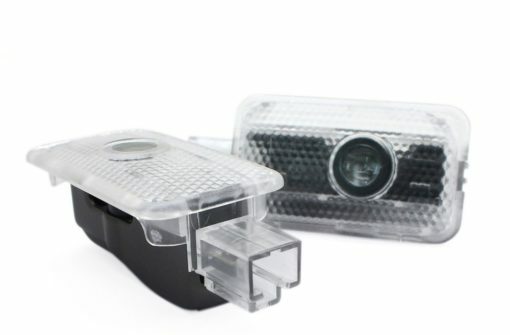 These units fit directly to the lower section of your vehicles front door, and plugs directly into the factory interior lighting circuit. 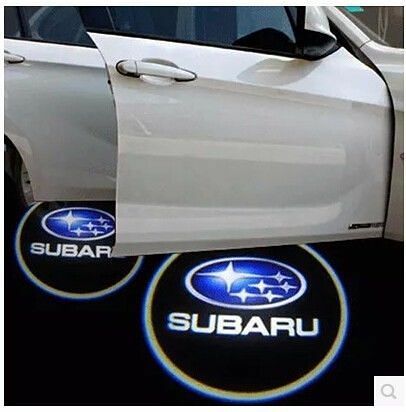 It projects the Subaru Logo onto the ground when the door is opened, and automatically turns off when the door is closed, it is a very simple and effective accessory. 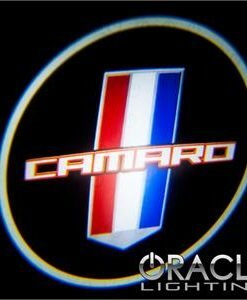 Premium quality projector lens, with a very clear and focused logo design projected onto the ground. 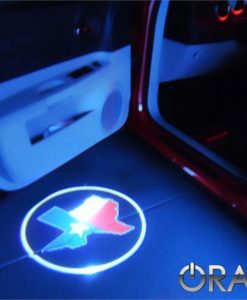 The compatibility is for reference, please double check your original car door light size before you place order. If you original door light is the same size and shape, you can buy it directly. 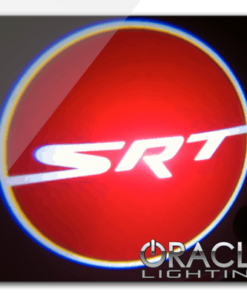 If you are not sure, please double check our size in our picture with your original door light . if it is different shape,it will not use anymore,please check it more carefully.